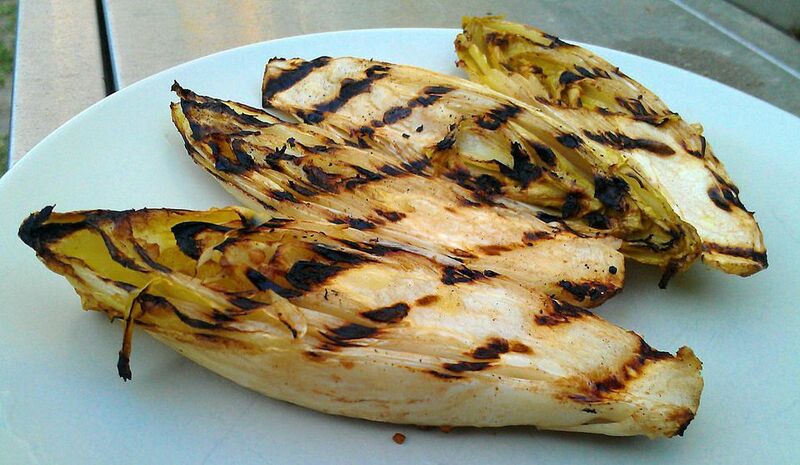 A delicious partner to grilled fish, endives offer so much more than just another addition to salads. With the right marinade and grilled to perfection, this vegetable earns its place on the menu as a light but substantial side dish. Combine olive oil, garlic, balsamic vinegar, and thyme in small bowl. Brush mixture onto both sides of each endive half. Sprinkle each piece with salt and pepper. Place onto grill and cook for 6 minutes turning once. When endives have wilted and are lightly browned, remove from heat and serve. Serve as is or with chunky blue cheese dressing. Keep a close eye on it while grilling to ensure that it does not burn or overcook.